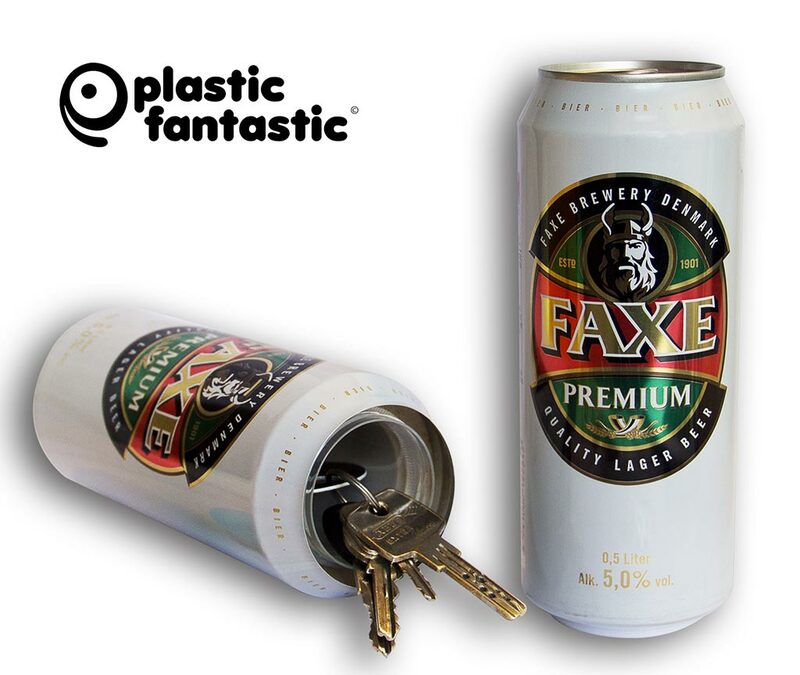 Handcrafted from a real Faxe container, the Faxe – 17oz. Beverage Can Safe is perfect for hiding cash, jewellery, USB-Sticks or other valuables. The Made in “Denmark Faxe” – 17oz. Beverage Can Safe is weighted to feel like the original product. Product/Prints/Graphics may vary slightly caused by seasonal/promotional campaigns. Includes one Faxe – 17oz. Beverage Can Safe only.